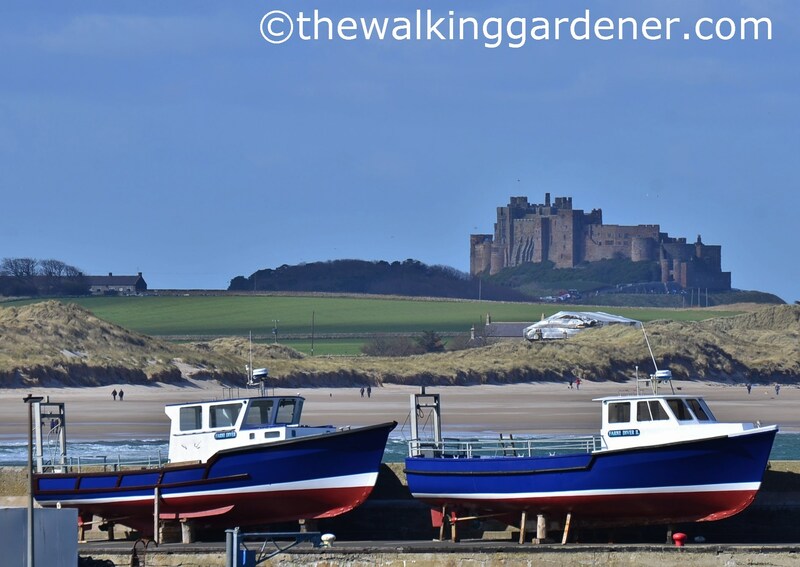 After an all right breakfast Jim, Tracy and I left The Blue Bell Inn – for ever – and set out on our short day’s walk to Bamburgh. 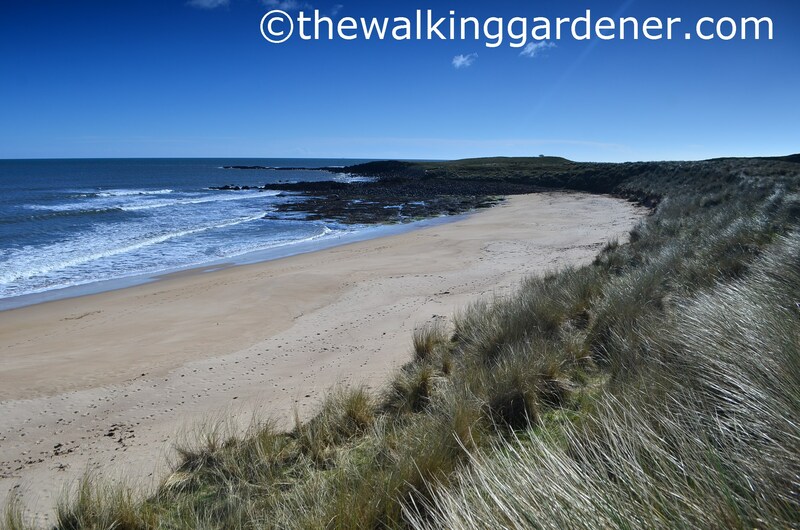 We passed quickly, quietly, hobbit-like through little Embleton, crossed the local golf course and returned to the beach. and traipsed on northwards – again. I thought it warm but Jim insisted on a funny hat – again. 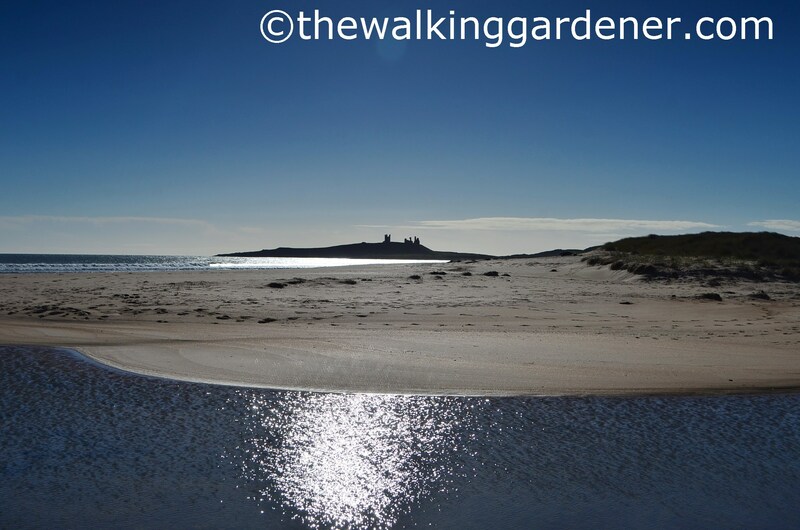 I gazed back at lovely Dunstanburgh Castle and worried if I would ever revisit. Of course I would. 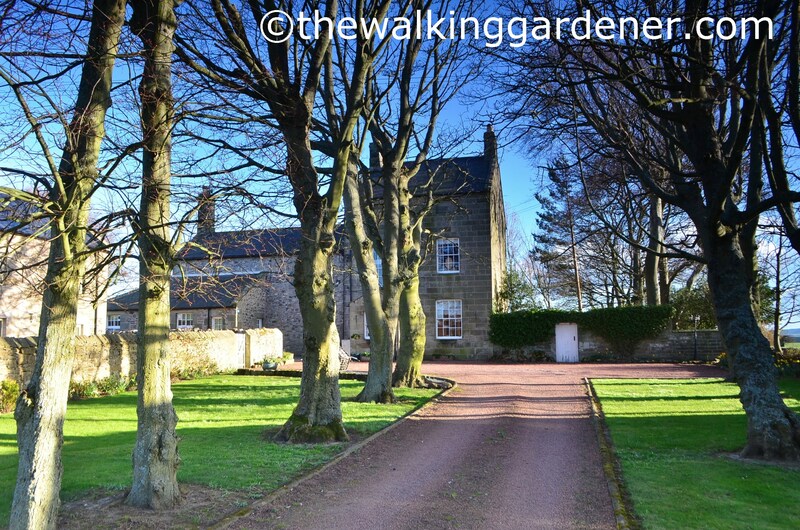 Northumberland now has such a strong pull on me that I was back within 16 months. After a mile we arrived in Low-Newton-by-the-Sea with its attractive pub … but even I don’t wait impatiently outside bars at 9.50am. Usually. 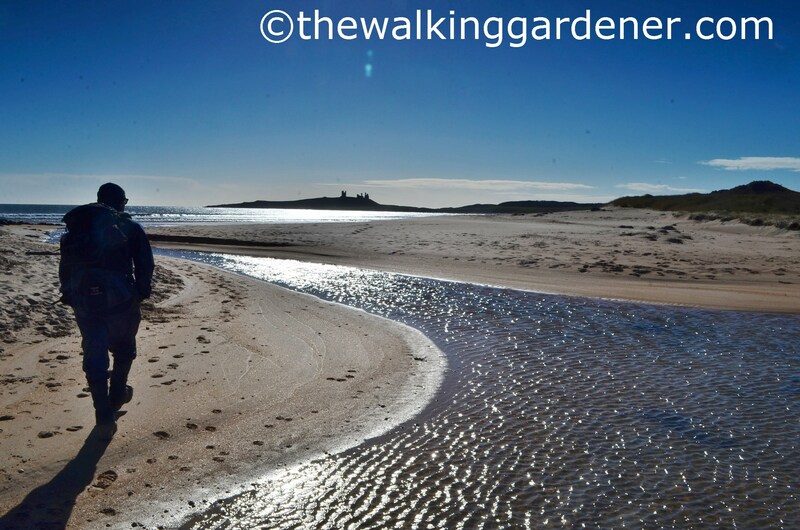 on a sandy path through marram grass. I automatically lifted my camera at a flicker of life and, zooming in, realised what I had thought an unexciting house-sparrow was nothing of the sort. 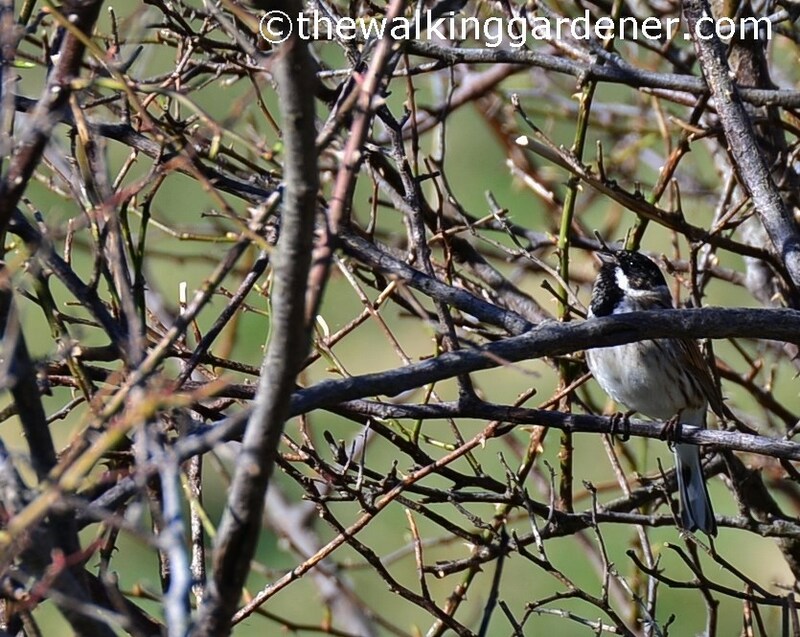 I’d have to wait until I got home, however, and peruse my ‘Beginners Guide to Sparrow-like Birds With a Black Bib‘ (a slim volume) to learn its true identity: a male reed bunting. Fancy. 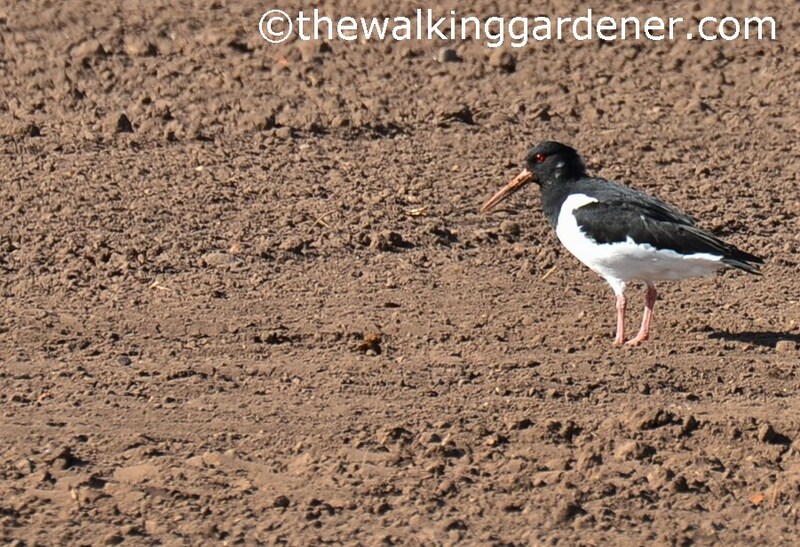 Seeing a new species is always gratifying for me … in an anorak-wearing, tick-tick kind of way. Tracy and Jim waited patiently for me to catch up after yet another twitcher diversion. They’ve become used to my frequent stops and hardly even grumble any more. (I’m still not sure of that hat, Jim. Gives you a look of Mrs Overall). Back on the shore, and whilst lost in a beach-comber-sea-salt moment, I missed the slight detour to Long Nanny Bridge and the easy crossing of Brunton Burn blocking our way. 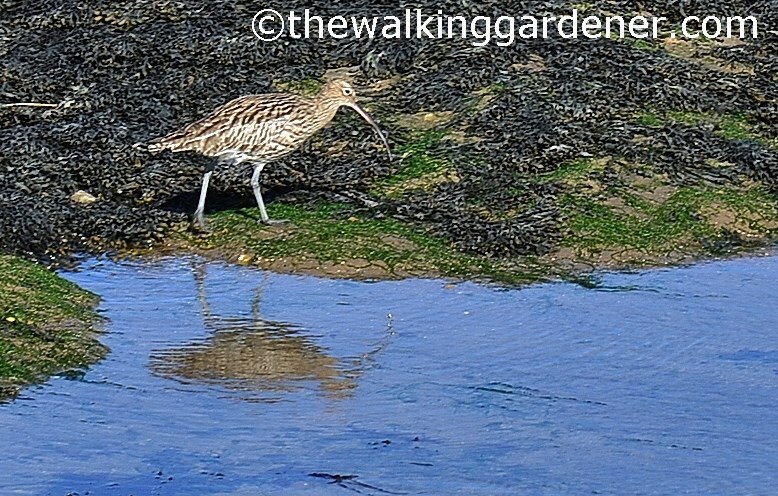 Instead of back-tracking, if fearful of wet feet, we gingerly sploshed and splashed across the wide, shallow stream picking our way though a network of deeper channels and sandbanks. But heroically we did so with no wet socks! Which was a pleasing triumph of the “you had to be there” sort. We had a cup of sad coffee in a Beadnell pub garden, set up the self-timer on my camera, smiled to show just what an enviable time we were having and marched on to lunch. 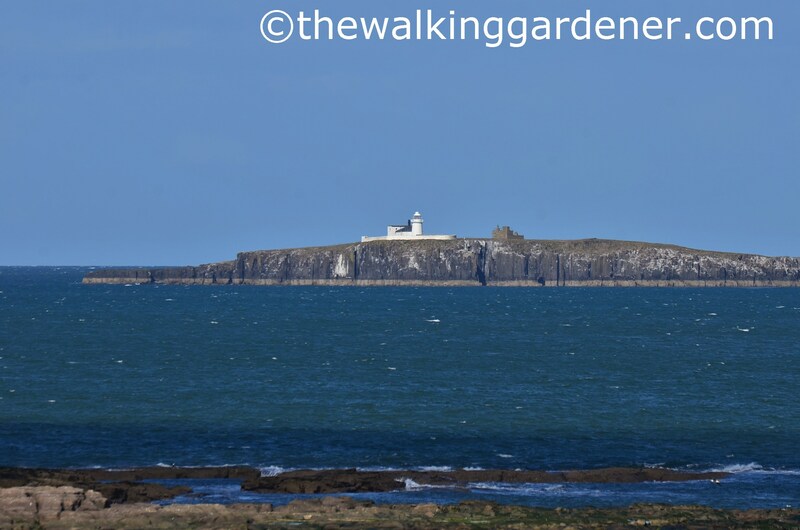 Off to our right lay the Farne Islands with the largest – Inner Farne – closest. I lied in my last post saying that Dunstanburgh Castle sits on the last outcrop of the Whin Sill: the final vestige is actually the Farnes. 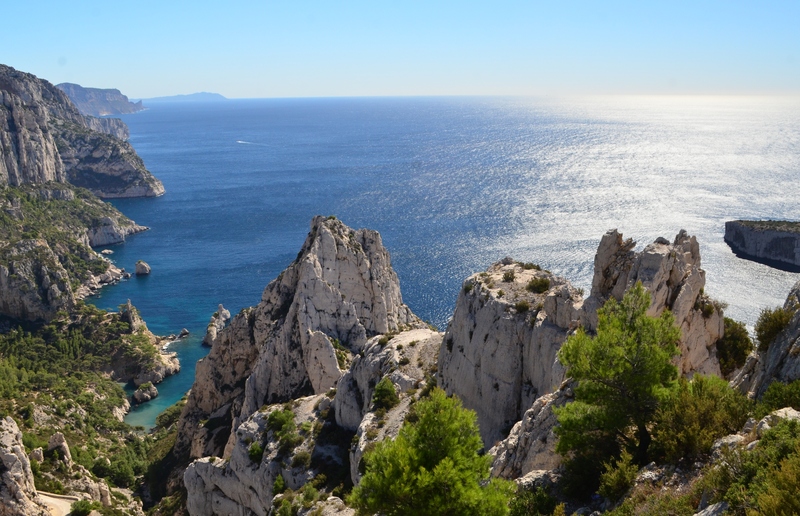 (This is the same rocky escarpment that Hadrian’s Wall clung to for so many miles). 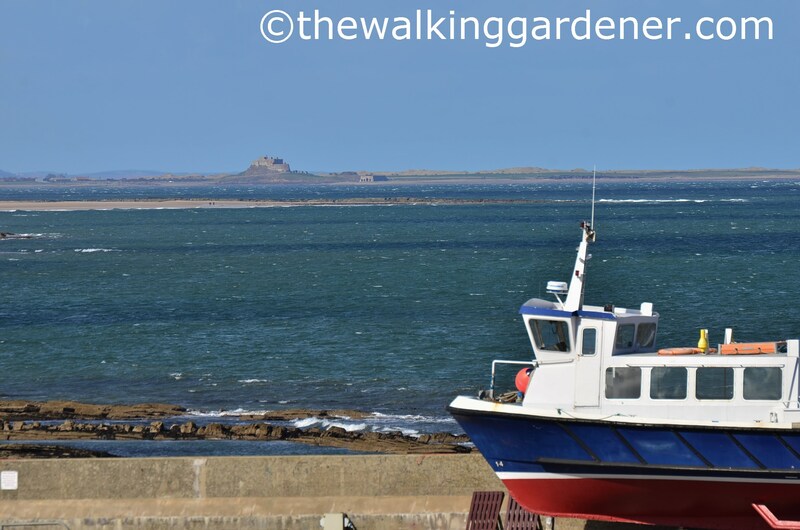 Boat trips from nearby Seahouses run out to the islands during the summer – a trip I’d long dreamed of. When, in July 2015, I finally made the voyage to the huge raucous bird colonies it was a gold star day. 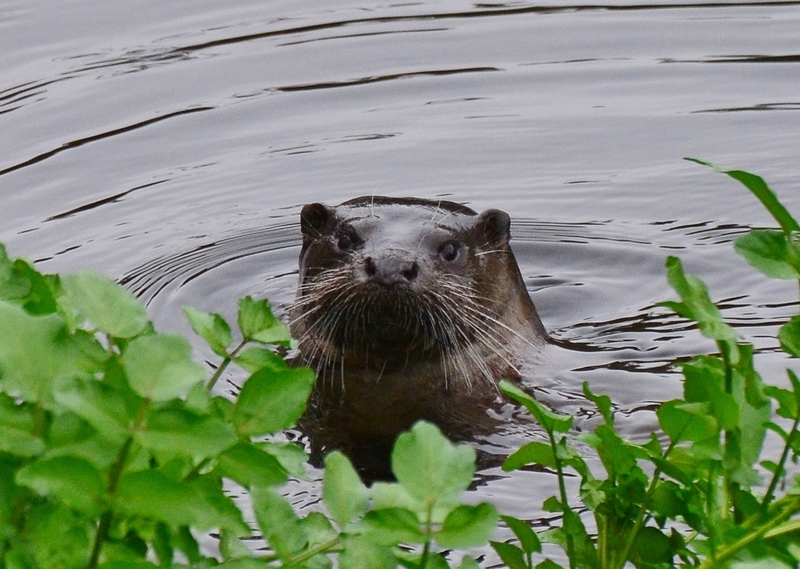 (There’s an account of that trip and the wildlife I saw – here). 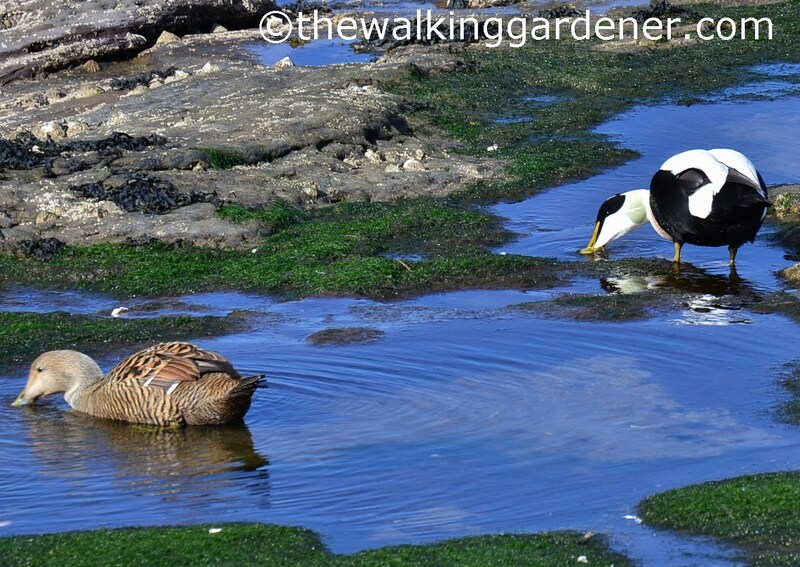 and a pair of eider ducks. As usual with birds, the female eider pulled the short straw on flamboyance. 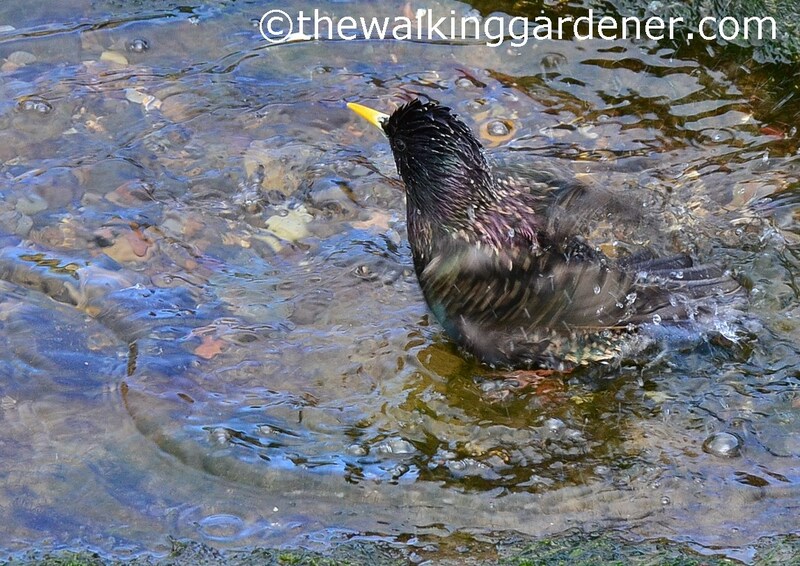 Oh, and a starling. Not terribly exciting but at least this one was personal-hygiene-aware. I can’t abide a smelly starling. 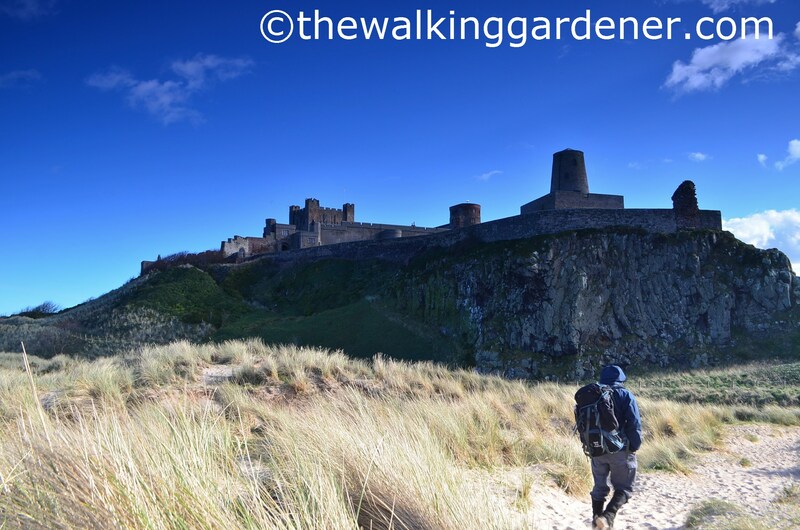 whilst further off, and marking the end of the St Oswald’s Way, sat Lindisfarne Castle on Holy Island. 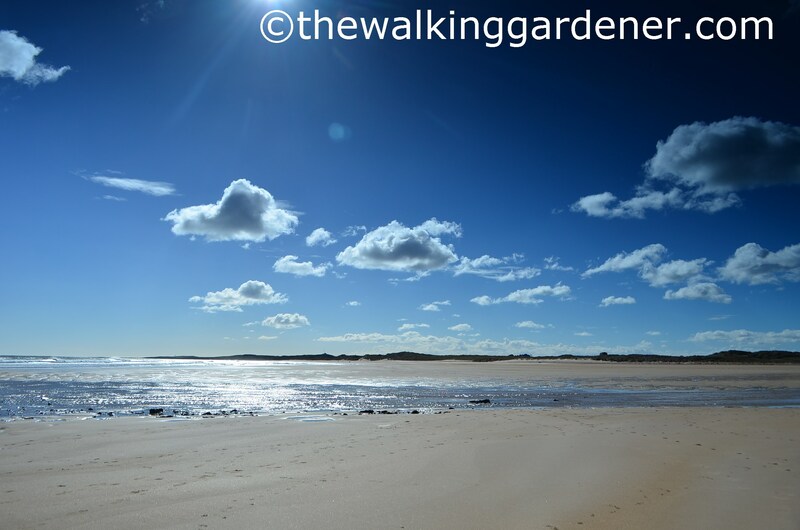 The SOW cuts inland after Seahouses but, as it was low tide, we pooh-poohed that silly idea and stuck to the firm beach for the last mile or two. 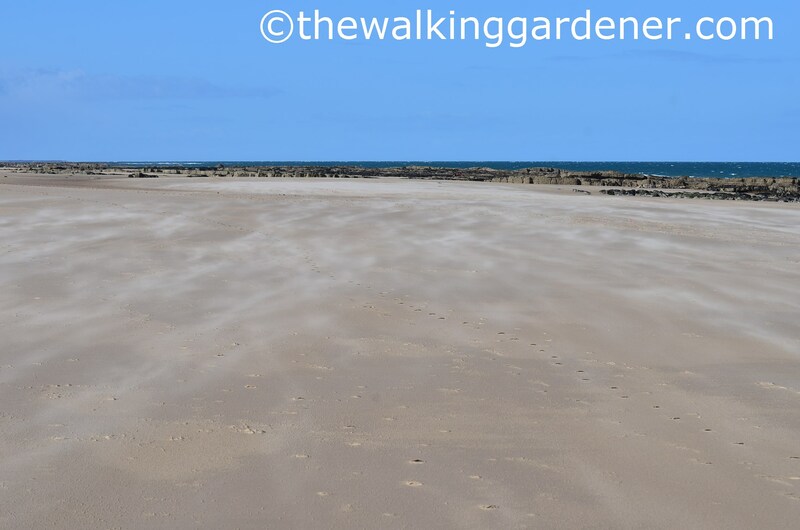 Gusts of wind whipped up the sand into mesmerizing currents leading us on like spooky mist. (Not that spooky, you’re right). 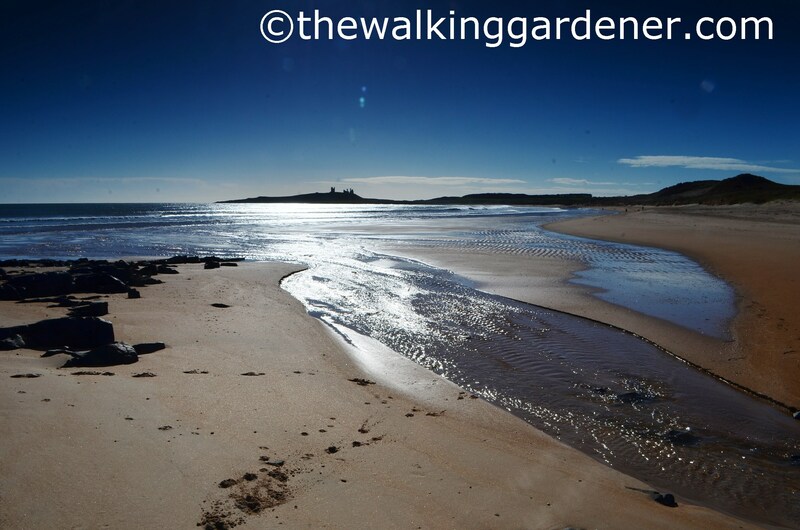 At 3.30 we arrived at Bamburgh Castle on the site of King Oswald’s original capital. 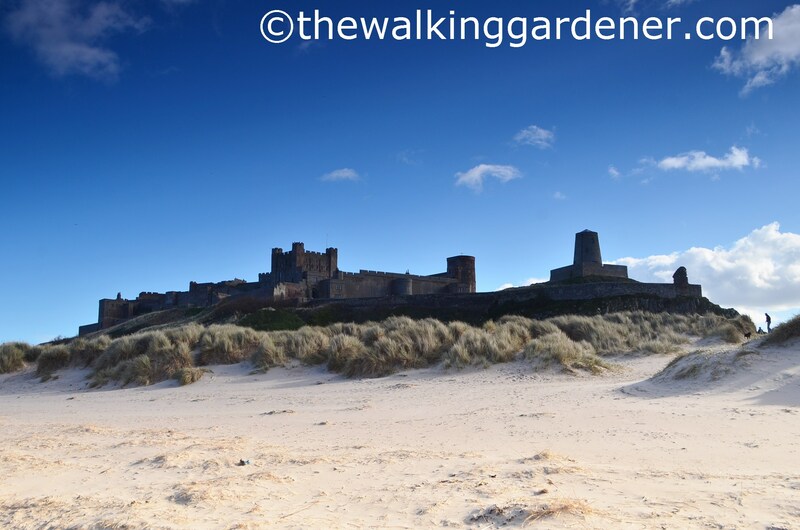 Bamburgh is impressive but aesthetically it leaves me a little cold. 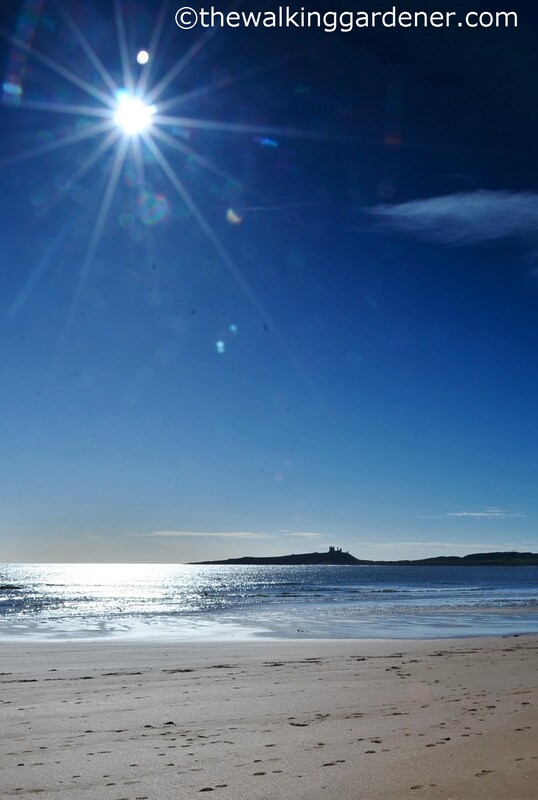 I think a heavy Victorian renovation has robbed it of the charm of say, Dunstanburgh or Warkworth. We circled the ramparts and found a tea-shop garden where Jim and I chatted to a weimaraner-owning couple as only those who’ve owned a weimaraner can do. Tracy quickly glazed over and nodded face first into her carrot cake. We prodded her awake, wiped the butter-cream off her face, promised not to talk about weimaraners anymore (today) and set off on a final mile out of the village to our night’s rest, Glororum B&B. This was another great choice (by Tracy) and we didn’t begrudge that extra mile. I even forgave it a pink and lime colour combo which had me straight back to my room in The Queen’s Head, Rothbury. Am I missing a trick with lime and pink bedrooms? Do I know nothing? Probably not … but I remain unconvinced. Lime and pink indeed. 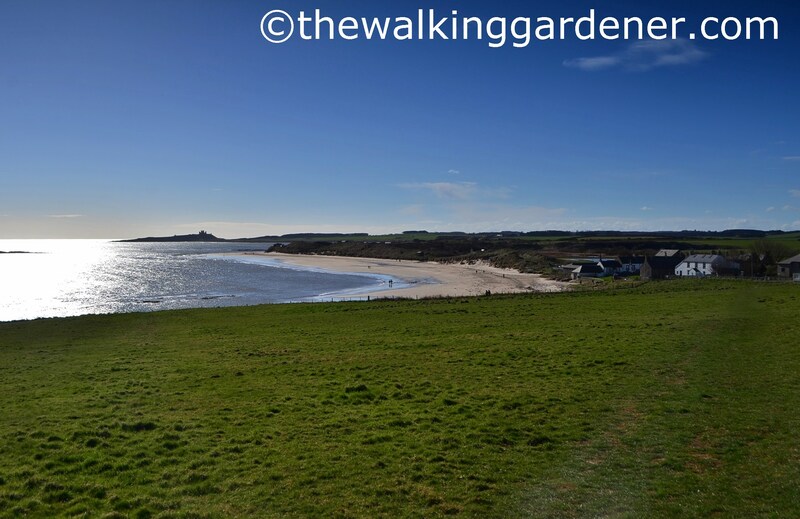 After a freshen up, we walked the mile back into Bamburgh for food and ale but couldn’t face the third mile back yet again to the Glororum. We agreed it was hardly cheating to hail a cab … and besides Tracy got to chat up the driver. 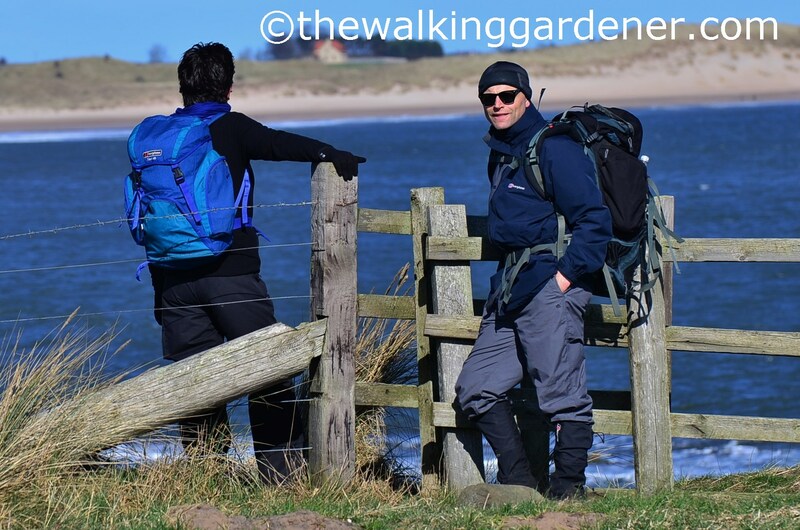 We were now only a day and half from Berwick and Walk’s End. Tomorrow – our last full day – would be easy-going under a warm sun. Maybe I wasn’t so bad in a previous life after all. 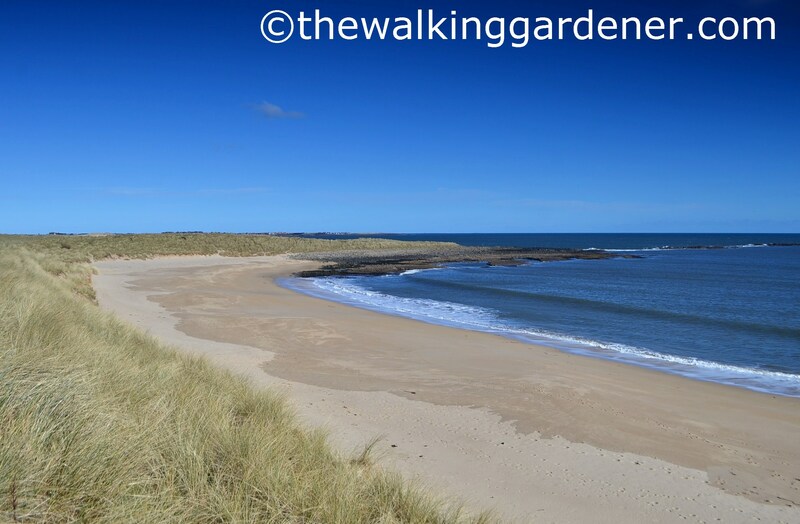 This brought back some lovely memories of our (so far) first and only trip to Northumberland in summer 2014. I understand why you are so drawn here, we will make a return journey. 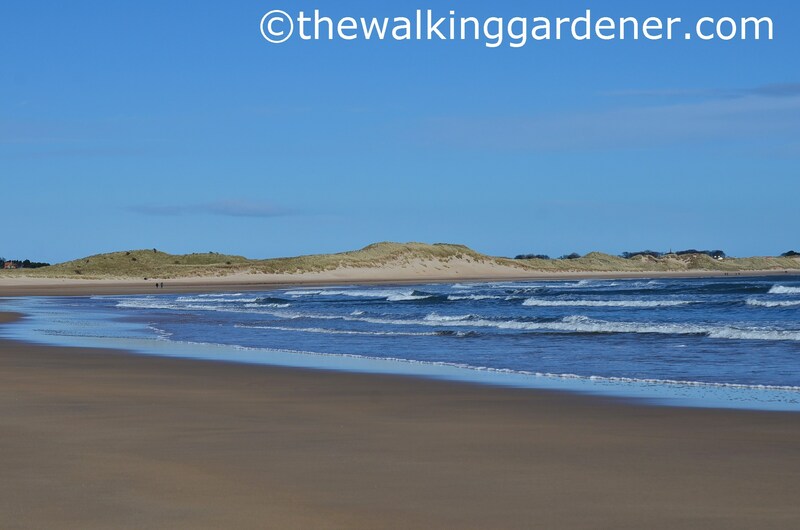 We walked along these beaches and stopped at some of these pubs too. Gorgeous photographs too. 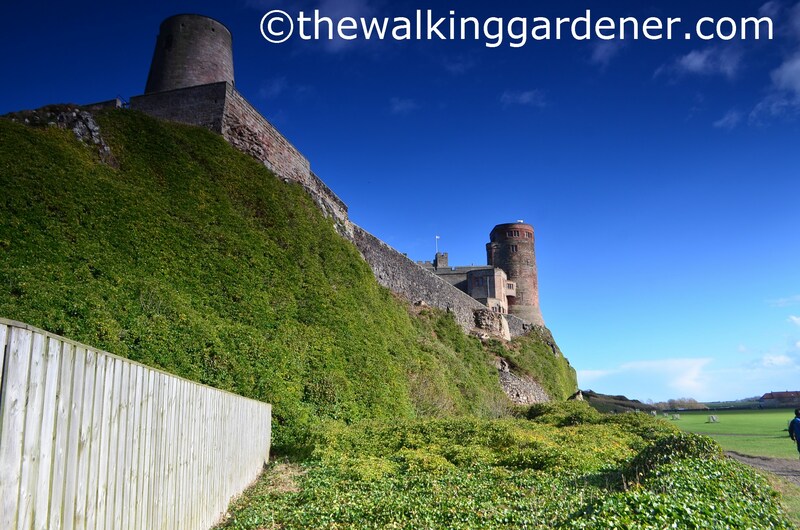 We stayed in Alnmouth for a week and visited Alnwick gardens – interesting but a tad busy. We bought Kippers from Craster but had a brain freeze moment – we did not cook them and wondered why they were so odd, so looking forward to doing this properly the next time. The B and B sounds very good, thanks for the recommendation. I do find the ‘Beginners Guide to Sparrow-like Birds With a Black Bib‘ such a useful text. Oh, and the smiling worked; lots of envy over here. Looks beautiful.